I’ve got a few cool shows lined up for February! 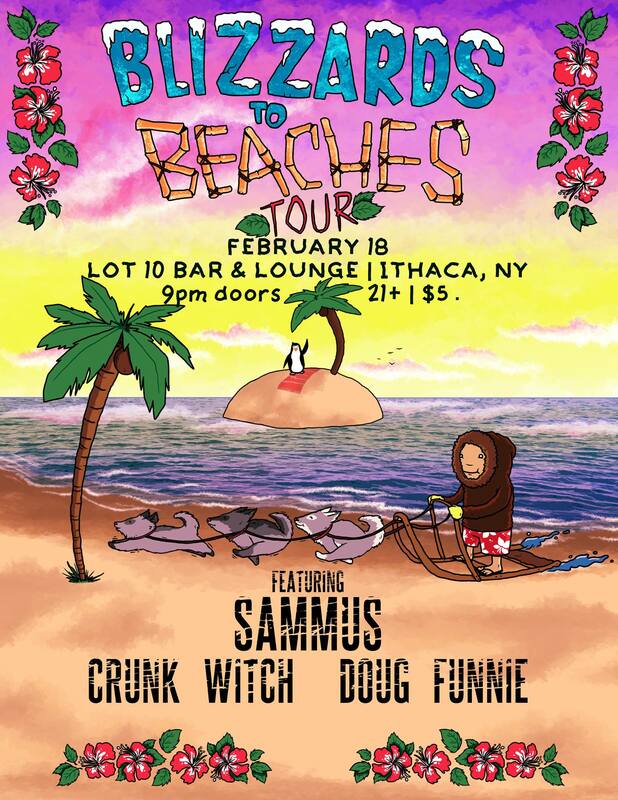 In addition to my set at the Ithaca Underground Fundraiser on February 21st, I’ll be joining my NPCC compatriot Doug Funnie and tour headliners Crunk Witch at Lot 10 on February 18th. Doors open at 9pm and the whole shabang-a-bang costs a mere $5. Click HERE to RSVP on Facebook and then get ready for a night of fun nerdery.